Rewilding, in essence, is giving the land back to wildlife and wildlife back to the land. It is restoring natural processes and species, then stepping back so the land can express its own will. Rewilding often focuses on the apex predators – like wolves, great cats, crocodiles, sharks, and salmon — and other keystone species that tend to need wild space and be lost quickly in domesticated or exploited lands and waters. Rewilding thus aims for restoration at a grand scale, the scale of conservation needed by wide-ranging species. The term ‘rewilding’ was coined by Dave Foreman, co-founder of Wild Earth magazine and The Wildlands Project, in the early 1990s. The concept of rewilding was further articulated by Michael Soule and Reed Noss in their classic Wild Earth paper “Rewildling and Biodiversity: Complementary Goals for Continental Conservation” in fall 1998. Other leading conservation biologists, including John Terborgh, Jim Estes, Susan Morse, John Laundre, and Cristina Eisenberg, have further elucidated the rewilding concept and added to its scientific rigor, through their books, articles, and classes. As these and other conservation biologists have shown, top carnivores are not just pretty faces or effective icons for endangered species campaigns; they are central players in healthy ecosystems. Removal of apex predators has had cascading effects (‘trophic cascades’ a term some biologists use) in terrestrial and aquatic ecosystems around the world. To give just two from a growing litany of examples: Since the eradication of Pumas and Gray and Red Wolves from the eastern United States, White-tail Deer have become unnaturally abundant and sedentary, and are now browsing Eastern Deciduous forests to the ground. 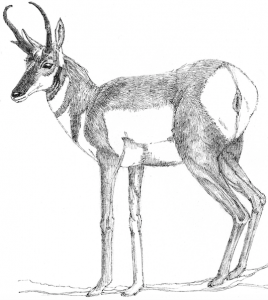 In the western US, since the extirpation of wolves, Elk and/or Mule Deer are similarly overpopulating and over-browsing aspen groves and other sensitive plant communities. The science clearly shows that restoring the missing predators is essential to restoring the plant communities. Rewilding, though, is as poetic an idea as it is scientific, and may sometimes be best expounded through art and direct experience on the ground. A painting of a Gray Wolf pack taking an old lame Moose, or better yet the thrill of watching that scene through binoculars in real life, may realize the rewilding concept better than any scientific paper could. Thanks to the good work of conservationists and restorationists the world over, rewilding is happening in many places. Rewilding in Europe has succeeded in restoring Beavers to parts of Scotland, Wolves to many parts of mainland Europe, and Lynx to Iberia. 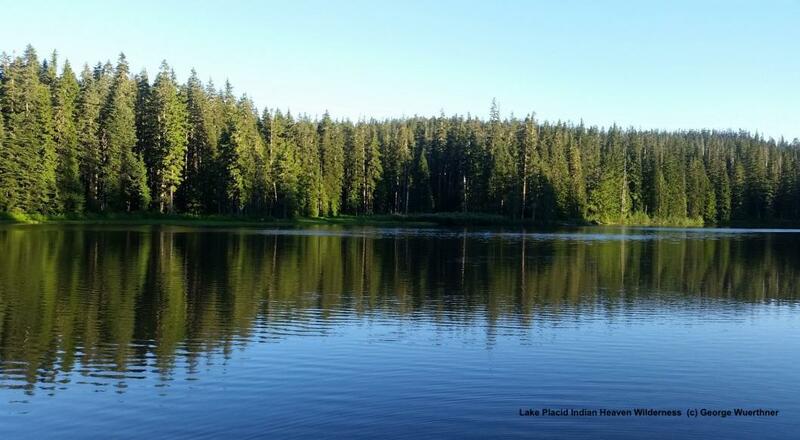 River liberators have removed dams and reopened salmon runs from the Kennebec and Penobscot Rivers in Maine, the Elwha River in Washington, the Eklutna River in Alaska, and hundreds of other places. Wolves have been famously restored to the Greater Yellowstone Ecosystem and from there have recolonized as far away as northern California – to the redounding benefit of riparian forests and the many creatures who depend upon those lush ecosystems. Peregrine Falcons and Bald Eagles are now numerous again in much of North America, since successful restoration programs and the banning of DDT many years ago; and even the highly imperiled California Condor is now soaring again over some of its old southwestern strongholds. Cheetah and Lion restoration efforts have succeeded in some parts of southern Africa. Rewilding Ibera is systematically restoring extirpated species to those vast Argentinian wetlands, with Pampas Deer, Tapir, Collared Peccary, Giant Anteater, and Green-winged Macaw already back out there and Jaguars being raised for release. Tallgrass prairie and savanna naturalists have restored many sites in the Midwest US; and the American Prairie Reserve in eastern Montana is being pieced together by wildlands philanthropists and repopulated with Bison. One of the great, if accidental, experiments in rewilding is New York’s Adirondack Park. Here, just hours north of Wall Street, in a landscape largely denuded a century ago by timber and railroad companies, state land protection has allowed the return of Beaver, Fisher, River Otter, Moose and other once-extirpated species to forests approaching old-growth stature again. Now the land anxiously awaits the return of Puma and Wolf, to ensure its recovering forests remain healthy and diverse. Caroline Fraser’s important book Rewilding the World gives many more examples, as will Rewilding Earth. The book that best summarizes priorities for continental conservation and restoration where the idea was hatched is Dave Foreman’s Rewilding North America. Let’s learn from these scientists and visionaries, then start giving back to the land. The forests are hungry for Wolves and Pumas; the grasslands hungry for Bison and Wolves; the rivers hungry for salmon and eel; the seas hungry for whales and sharks. The answer to the overarching crisis of our time – extinction – is rewilding, at all scales, from your back forty to Patagonia’s vast steppe. John Davis is executive director of The Rewilding Institute and editor of Rewilding Earth. For Rewilding, he serves as a wildways scout, editor, interviewer, and writer. He rounds out his living with conservation field work, particularly within New York’s Adirondack Park, where he lives. 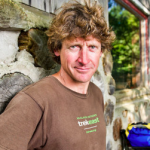 John serves on boards of RESTORE: The North Woods, Eddy Foundation, Champlain Area Trails, Cougar Rewilding Foundation, and Algonquin to Adirondack Conservation Collaborative. John served as editor of Wild Earth journal from 1991-96, when he went to work for the Foundation for Deep Ecology, overseeing their Biodiversity and Wildness grants program from 1997-2002. He then joined the Eddy Foundation as a board member and continues to serve as volunteer land steward for that foundation in its work to conserve lands in Split Rock Wildway. This wildlife corridor links New York’s Champlain Valley with the Adirondack High Peaks via the West Champlain Hills. John served as conservation director of the Adirondack Council from 2005 to 2010. 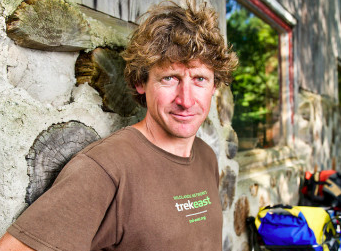 In 2011, John completed TrekEast, a 7600-mile muscle-powered exploration of wilder parts of the eastern United States and southeastern Canada—sponsored by Wildlands Network and following lines suggested in Dave Foreman’s book Rewilding North America—to promote restoration and protection of an Eastern Wildway. In 2012, John wrote a book about that adventure, Big, Wild, and Connected: Scouting an Eastern Wildway from Florida to Quebec, published by Island Press. In 2013, John trekked from Sonora, Mexico, north along the Spine of the Continent as far as southern British Columbia, Canada, again ground-truthing Rewilding North America and promoting habitat connections, big wild cores, and apex predators—all of which would be well served by fuller protection of the Western Wildway he explored. John continues to work with many conservation groups to protect and reconnect wild habitats regionally and continentally. John is available to give public talks on rewilding, conservation exploration, and continental wildways, as well as to write and edit on these subjects. He is also available for contract field work, particularly monitoring conservation easements, documenting threats to wildlands, and marking conservation boundaries. He can be reached at john@rewilding.org and hemlockrockconservation@gmail.com (for his land-care work). Rewilding “Half Earth” (http://www.half-earthproject.org/) is a logical adaptation strategy given continued worldwide biodiversity loss, land degradation, and climate change, but it won’t just happen out of the goodness of our progressive and/or visionary hearts. It needs to be thoughtfully designed with stakeholder participation. The Landscape Conservation Cooperatives (www.lccnetwork) were convening bodies for stakeholder-driven landscape conservation design (www.lcdinstitute.org), bringing federal, state, and local agencies, non-profits, academics, and private entities together to do just. Now that DOI Secretary Zinke and the USFWS killed the LCCs funding, who will coordinate and facilitate our rewilding half-earth efforts in the U.S.? That’s the question of our time.